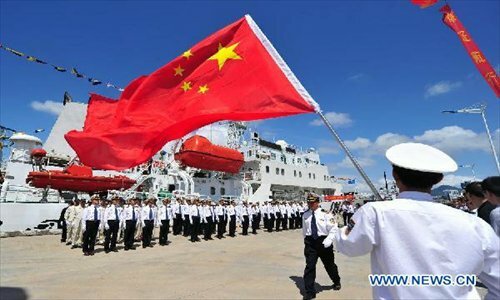 A fleet of Chinese marine surveillance ships departed from Sanya Port in south China’s Hainan Province on Thursday morning to carry out regular patrol missions in the South China Sea. The fleet consists of the Haixun 21, Haixun 31 and Haixun 166, the Hainan Maritime Safety Administration said. The missions will strengthen the country’s maritime law enforcement capacity and test the patrol team’s rapid response abilities in the South China Sea. It will monitor maritime traffic safety, investigate maritime accidents, detect pollution, and carry out search and rescue work. It is China’s second patrol after two ships started a regular patrol mission in the South China Sea from Guangzhou on February 20. Previous news: Binglanggu selected as practice base by Geography Institute of Heidelberg Uni.